Home / Plumbing / Why Does My Water Taste Bad? When you are ready for a drink of water, do you head to the refrigerator in order to retrieve a bottle of overpriced “spring” or “artisanal” water? If so, what is it that is preventing you from getting a drink of water straight from the faucet in your kitchen? There are a lot of reasons why homeowners may choose not to drink their tap water, but if an off taste is the only thing holding you back from doing so, we’ve got the solutions you need. We offer a number of great water treatment systems in Sarasota, FL that can help you to enjoy better tasting water in your home. 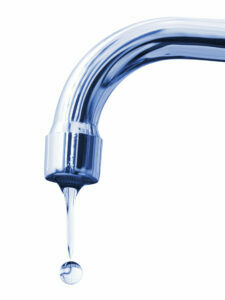 As we mentioned above, we have plenty of solutions for improving your water quality. These include advanced water treatment systems, such as the Halo 5 water treatment system. We’ll make sure that you have the appropriate system in place for your needs. Why, though, might tap water taste bad to begin with? There are a number of different causes. Chlorine may be present in your water, and that can give it an odd taste. This is a tricky situation, because chlorine is not actually harmful in any way–quite the opposite, actually. Chlorine is important to public health and helps to kill germs and bacteria in the water supply. Still, some people are simply more sensitive to its taste than others. Soil properties can also have an impact on the taste of your water, and may lead to a musty or earthy taste. Again, this is not a concern for your health, but it may dissuade you from drinking your readily available tap water. Using the right water treatment system can make a huge difference. Rubber or plastic flavors are certainly not welcome in water. These could be the result of the very plumbing materials used to distribute water throughout your home. Different plumbed appliances may have washers, gaskets, and hoses that can aggravate the issue. We can resolve the problem successfully. Call Wimpy’s Dependable Plumbing at 941-322-1911 today and find out why our customers say, I Love My Plumber!